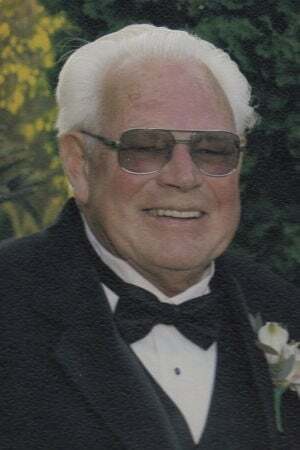 Glenn LeRoy Faires, 82, passed away peacefully Dec. 8, 2018, at St. John Medical Center. He was born in Centralia, Wash., to Harold and Alta (Riley) Faires on May 24, 1936. Glenn graduated from Centralia High School in 1954. He then worked for Wayne’s Photo in Centralia until 1958 when he enlisted in the Navy. Glenn was honorably discharged on Aug. 3, 1962, with the rank of aviation electrician II. Glenn married Patricia Ray from Onalaska, Wash., on July 12, 1959. They moved to Longview after his military service and Glenn began a lengthy career as an electrician, first with Longview Fibre, and in 1969 with Weyerhaeuser, retiring after 37 years. Glenn enjoyed woodworking, volunteering with FISH through his church, camping, puzzles, boating, water skiing, and watching football and baseball. Glenn and Pat enjoyed square dancing as members of R Square D for 30-plus years. He loved their house on Mayfield Lake where they spent many happy hours with family and friends. He was preceded in death by his parents; two brothers, Donald Faires and Kenneth Faires; and two sisters, Virginia Fathergill and Viola Gehrman. Glenn is survived by his wife of 59 years, Patricia Faires at home; a sister, Lucille Cavaness of Greenbank, Wash.; three children, Deborah Thompson (Scott) of Longview, Scott Faires (Erin) of Olympia, and Gina Liles (James) of Salida, Colo.; three grandchildren, Deanna Thompson of Longview, Nolan Liles (Sarah) of Parker, Colo., and Jacob Liles of Salida; two great-grandchildren, Landon Liles and Sydney Liles, both of Parker; and many nieces and nephews. A celebration of Glenn’s life is planned for 1 p.m. Saturday at the First United Methodist Presbyterian Church with the Rev. Vonda McFadden and the Rev. John Stepperd officiating. In lieu of flowers, memorial contributions may be made to the First United Methodist Presbyterian Church, 206 Cowlitz Way, Kelso, WA 98626.